The evening dew, the fog and the rain all fall on the deep crimson roses, the orange pansies, the white crinums, the purple hydrangeas, the yellow dandelions and the cute valley lilies, which glisten bathed in the Suns rays. 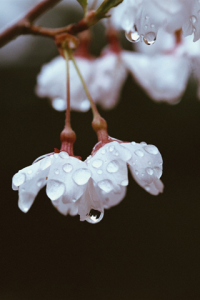 Weve collected images of water droplets falling on or living inside flowers of all colors and sizes. Please enjoy these combinations of lively, vivid flowers and crystallike drops of water. 50 pictures total available. Our brilliant blue sky and clouds theme will look absolutely stunning on your BlackBerry handset! RACE THROUGH THE 80S IN CLASSIC SPY HUNTER AND EXPERIENCE THE ALL NEW ENHANCED VERSION!